Licensed in 45 states and ranked one of the top 200 contractors in the nation by Engineering News-Record, we’re equipped to help improve how people work, live, shop, heal and learn across the country. We’ve built projects of all sizes and complexities — renovations to new construction, large to small. And our commitment to anticipating challenges and providing innovative solutions allows you to focus on your core business practice. From preconstruction and estimating, BIM to safety plans, trade contractor outreach to logistics and procurement, our dedication to the construction craft results in projects that provide built-in value and beautiful outcomes for our clients. 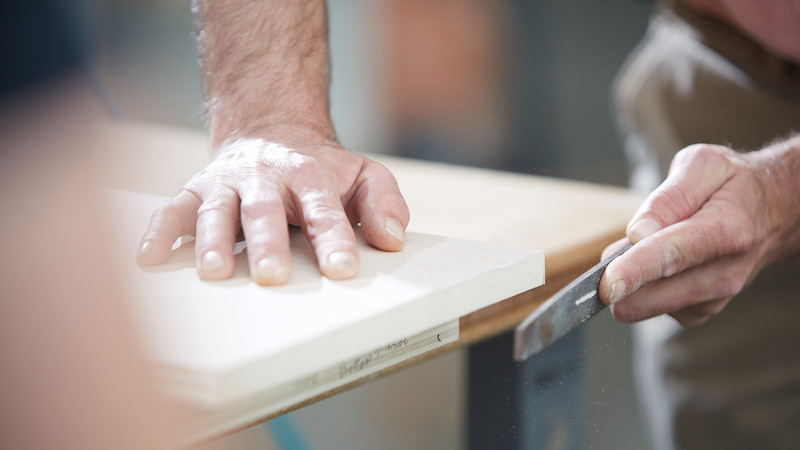 Our in-house Trades Team is committed to quality, craftsmanship and to achieving beautiful outcomes. Close collaboration with the client and design team brings value early in the design phase. Understanding project goals and establishing reliable estimates and schedules sets each project up for success. Competitive bidding and strong construction management practices ensure quality and value. Using a traditional design-bid-build delivery, Rockford maximizes its relationships with local and regional trade contractors to secure the best pricing and most qualified partners. We actively manage the construction process to deliver a high quality facility, on time and in budget. Rockford offers a turnkey, design build solution that features a single point of accountability for full planning, design and construction services. Our ability to evaluate design alternates against your needs and budget result in faster deliver and a project that aligns with your vision. Specialists in estimating, value engineering, scheduling and bid packaging, our team will work through the design and preconstruction phases to ensure budget and constructability stays on track. Rockford’s Owner’s Representatives serve as an extension of our client’s staff, bringing expertise and capacity to drive projects forward. Our team can manage all aspects of a project, from programming and financing, to selection and supervision of the design and construction process. Utilizing BIM can save time and money and reduce conflicts or changes due to unforeseen circumstances during construction. It’s not just 3D design — it’s a tool to capture and model all project details, detect any potential clashes and provide opportunities for innovative building system solutions. Rockford’s procurement program leverages our $500+ million annual project volume to achieve cost savings on equipment, materials and services. Our agent works with local, state and regional trade contractors and suppliers to secure the best up-front prices with savings passed along to you. Rockford is committed to the triple bottom line: people, planet and profit. From LEED-Platinum construction to simply doing what’s right for the environment, we can help you navigate this process and find the right solution for your effort. From education to healthcare, multi-unit to industrial, Rockford is building for tomorrow’s needs today.